I’m a big fan of the TV show Castle. It is about a mystery writer who tags along with a New York police detective in order to gather research and inspiration for his book. Heat Wave is that book. It’s more of a gimmick than anything else. The dust jacket features a fake bio, an ‘author photo’ featuring actor Nathan Fillion and cover comments from real mystery writers James Patterson and Stephen Cannell—who both made guest appearances in the show. The plot echoes the show, being about investigative journalist who tags along with a New York police detective in order to gather research and inspiration for a magazine article. All the TV characters have an equivalent character in this book and there are plenty of in-jokes. It is, perhaps unsurprisingly, not the most brilliant of books. I found the writing occasionally less cheesy than clumsy and I spotted whodunit a mile off, despite not being a big mystery reader. 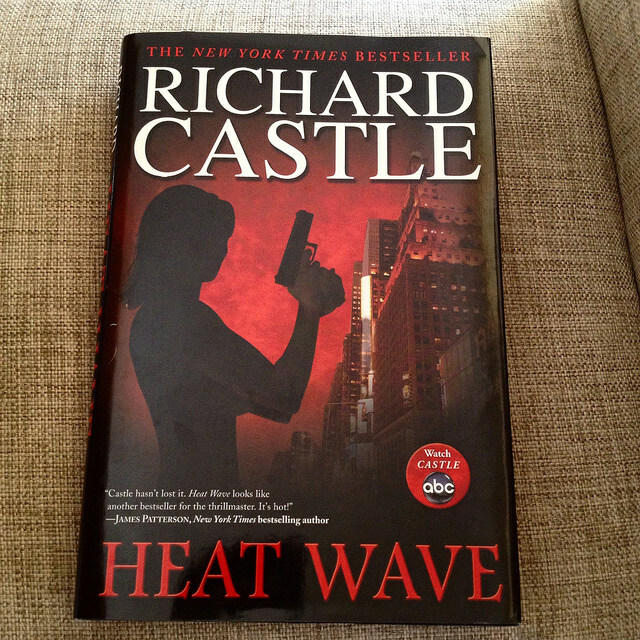 It would have been nice to see something a little more polished and sophisticated from an author who was supposedly as prolific and consistently best-selling as Richard Castle is supposed to be. However, if you are a fan of the show and are looking for some brain fluff to entertain you while you are down with a cold, you could do worse.